We do not see their faces or know who are them, but all kinds of structures are their works, the house we live in, the office building we worked in, the shop we shopped, even the municipal buildings of the city we lived in. An architect’s signature is the lines in their project. Architect Jacqueline Gonzalez Touzet AIA, LEED ap, has been signing for 25 years to different buildings in both residential, commercial and public spaces. I had the opportunity to meet with Jacqueline Gonzalez Touzet, and I asked about her architectural career, Touzet Studio and basics of architectural projects. Could you tell us about your architectural career? I graduated from Cornell University in 1992 and worked in several different firms in the US. I met my future partner and husband Carlos Prio Touzet while working on the Setai in Miami Beach. For seven years I was a designer and Project Manager at Arquitectonica and then a Vice President. While I was there I designed and led multiple large projects in Hong Kong, Manila and in the US. 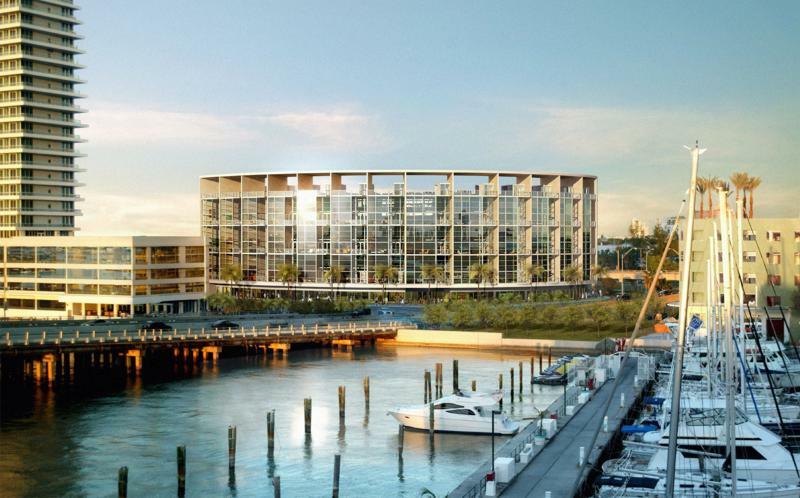 My favorite project was the Cyberport 6.8 million SF project and the Sarasota Herald Tribune building. In 2004, I started Touzet Studio with my husband and partner. We wanted a studio environment for innovative and mindful design where we could focus on design at different scales. We have worked on bespoke interiors and master plans together and we love the diversity and the intimacy of a smaller studio where we really engage with the work and with our clients. We have been fortunate to win awards and get published globally since we started. In 2006, I was awarded the Young Architect of the year by AIA Miami. In 2015 I was awarded Architect of the Year in Miami, and the Silver Award in 2017. How did you decide to become an architect? Why did you establish Touzet Studio? What inspired you? Since I was a child, I loved drawing, history and culture. I fell in love with architecture at age 19 when I took an Architectural History class in a local college. I then went on a study abroad for two summers and after seeing the Bauhaus, the Parthenon and several other amazing building I made the commitment to become an architect. As far as inspiration: Le Corbusier, Aalto and Eames some of the mid-century Cuban architects like Porro and Romanach inspire me – they had small atelier environments and yet produced some of the most transformational work. I never wanted to be working in an office or corporate environment. I think of myself as an artist. My husband and I are partners because we think the work is better when we play off of each other’s strengths. I love being able to work with someone whom I respect and trust – we share a lot in common but from different perspectives. We both are deeply inspired by our shared culture and modernism – we love to travel and learn constantly. We also believe very much that our design skills need to be focused on making a more livable world and addresses some of the challenges we face as a species. Could you describe your creative processes from beginning to end? What are your team members roles? Our creative process varies between projects but it always involves a lot of study of the site, the culture and the client. We then come up with a strong narrative and part that is the backbone of the project. For us, having a strong concept rooted in a deep understanding of the program and site is key. Carlos and I generate the initial concept and stay involved throughout the process. Our model is the “atelier” or studio model where it is a very hands-on, collaborative process. We seek team members that are expert and passionate about architecture and it is a collaboration. We do models, Renderings, countless sketches to get to the right solution. The design process doesn’t stop in design. We look to the details and craftsmanship to reinforce the concept as well. What type of projects do you prefer? What projects are your team currently working on? We prefer projects that can be transformational. We also love projects that allow us to research and explore culture and history and explore new technology. We tend to do our best work with clients who value great design. We consider ourselves “futurists” who are inspired by nature and culture. We think many of the serious issues we are facing in society and our planet will require better and more thoughtful design. We are currently working on a Metro Station mixed-use project with workforce housing, a solar microgrid and an urban plaza in Miami. It’s a very forward-looking Project that deals with issues of resiliency in our region and looks at creative options to address the housing shortage. We are also working on a three-story penthouse for a collector of Samurai armor who is a huge futurist as well. It has allowed us to explore Japanese design and has been a lot of fun to explore virtual reality technology in ways we haven’t done before. This will be a project we learn a lot and get to grow our technological skills tremendously. You have completed lots of successful projects. Which one is your favorite? What was its story? We designed a home for one of the founders of Alienware who, like us, is a Cuban American who is a lover of modernism. His wife is from Costa Rica and loved tropical architecture. 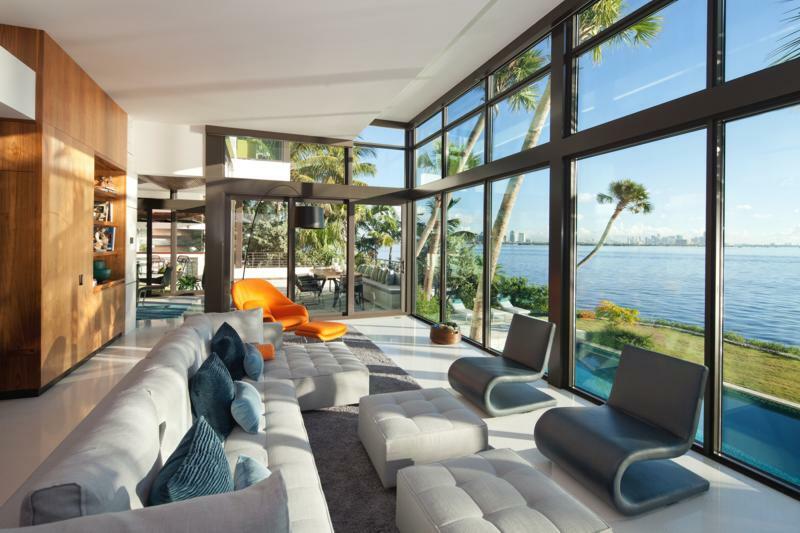 We created a fantastic “tropical futurist” house for them. It works really well with our climate (cross ventilation, solar, rainwater harvesting, shade and indoor/outdoor spaces). The couple has become lifelong friends. We also love the Vitri project (never built, but won numerous awards). It was inspired by the geometry of crustaceans and shells. 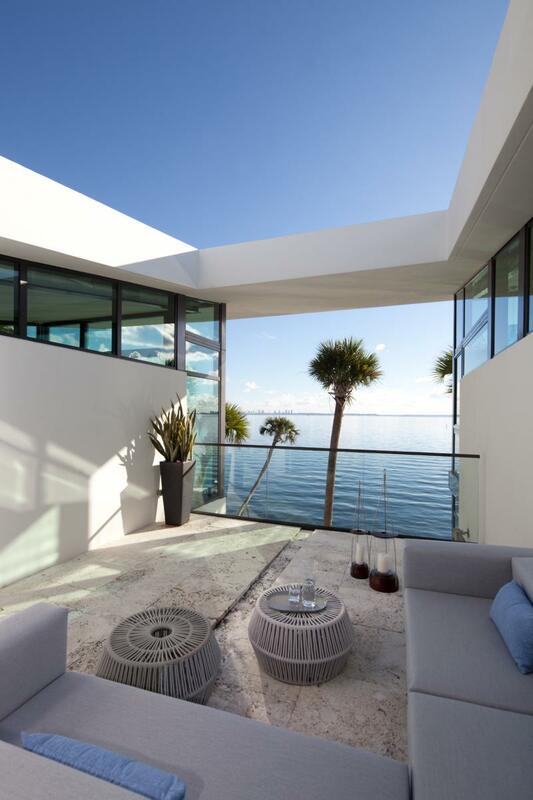 The materials were like a poem about Miami Beach (limestone for sand, varied blues for the ocean and framed views of the sky). 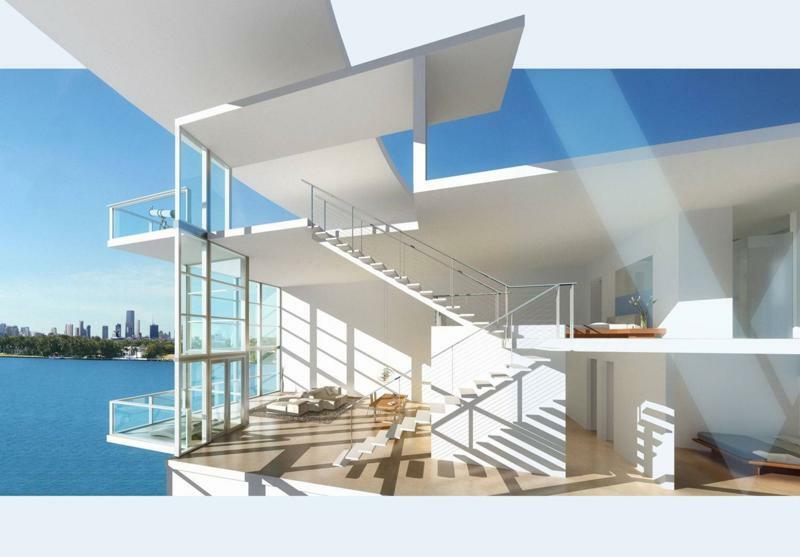 Where is the most popular location for new residential projects in Miami? Little River, Coconut Grove and Little Havana are popular. How many weeks does it take to complete an average residential project? Months, not weeks! 3-4 months is typical. What would you recommend to customers who want to work with an architect to build a new house or make a large-scale renovation at their home? Spend the time to make sure you are building what you need and not what other people have done. It’s a very individual journey. Work with an architect that listens, and that does work that you really like. In your opinion, what is the relation between Low Budget – Short Project Time – High Quality? Is it possible to combine all in one project? Yes. There are actually three factors: Time, Quality and Cost. Pick which two matter most to you. For us, we don’t take projects where Quality is not one of the top two. My advice is to do your work with devotion and with love and keep learning always. Don’t undervalue what we do as a profession and try to do it with the utmost integrity and professionalism. The times you are living in will demand the very best you have to offer – we architects are vitally important in solving and designing a better future. Yes, architecture is a creative endeavor of the heart and most of us choose this profession because we love design. But it is called the “mother of all arts” for a reason – we are creators that can transform society and our work affects people’s lives and the planet greatly – so we have a responsibility to do our work mindfully and at the highest level we can.